FEL (Franczak Enterprises Ltd.) announced today that they will be joining Pfaff Motorsports and driver Scott Hargrove in their 2018 Pirelli World Challenge effort. Pfaff Motorsports knows what it takes to win championships and FEL is very excited to be associated with them and driver Scott Hargrove. 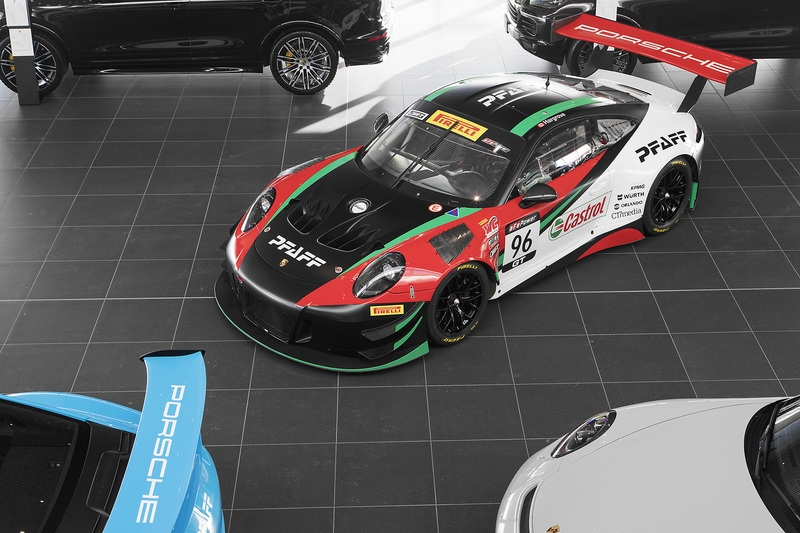 Scott will carry the FEL brand with him at every race throughout the 2018 Pirelli World Challenge season and FEL branding will be on the Pfaff Motorsport Porsche for select races during the season. “I have known Chris Pfaff for many, many years and have watched him grow the Pfaff brand both on and off the race track. Add in the leadership of Team Manager Steve Bortolotti and the talent of West Coast driver Scott Hargrove, Pfaff Motorsports is sure to be in the middle of a championship hunt for 2018. FEL could not be more proud to be able to play our small role”, said FEL President Chris Bye. With over 50 years of automotive experience in Canada Pfaff has always called the racetrack home. Lead by Team Manager Steve Bortolotti, Pfaff has set their sights on the 2018 Pirelli World Challenge Championship. For more information visit pfaffmotorsports.com.